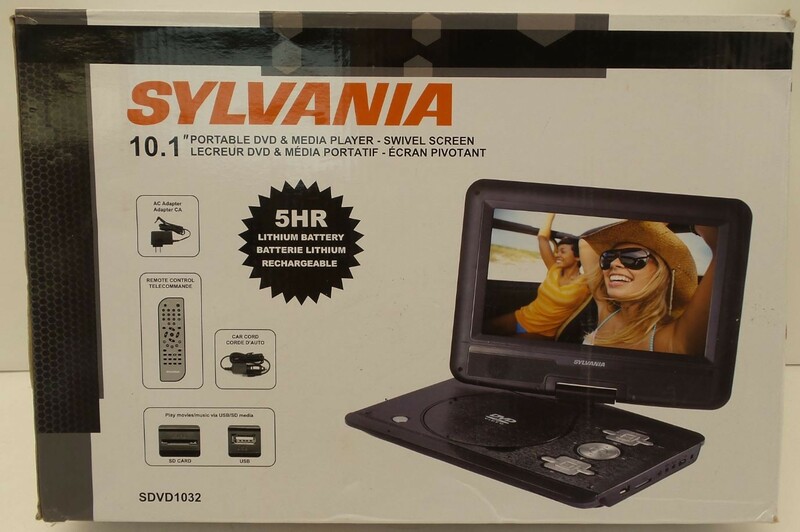 Watch your favorite movies on the go with the Sylvania SDVD1032 10 Portable DVD Player. 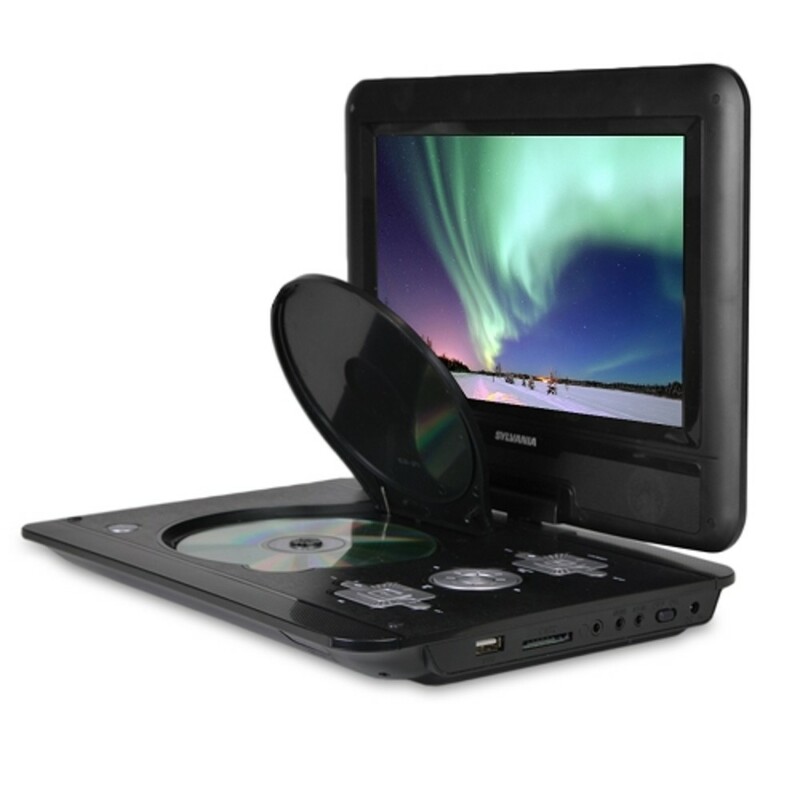 The portable DVD player plays back DVDs, CDs as well JPEGs and MP3 files. Its compact size lets you place it in your vehicle and view movies whilst you drive. 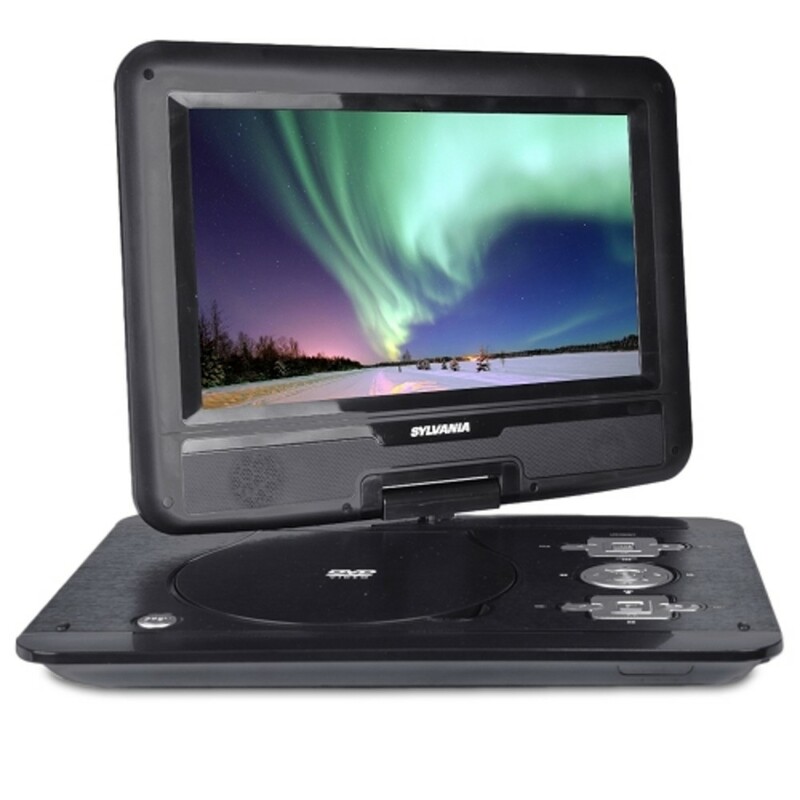 You can also play music and view photos on this 10" TFT LCD DVD player with speakers. The swivel screen lets you change the angle to suit your requirement and you can view it from your place of comfort. The bright LCD screen delivers sharp and crisp images in high quality. The Sylvania DVD player comes with an AC car adapter. The built-in SD/MMC/USB 1.1 card reader lets you play movies or photos using memory sticks. 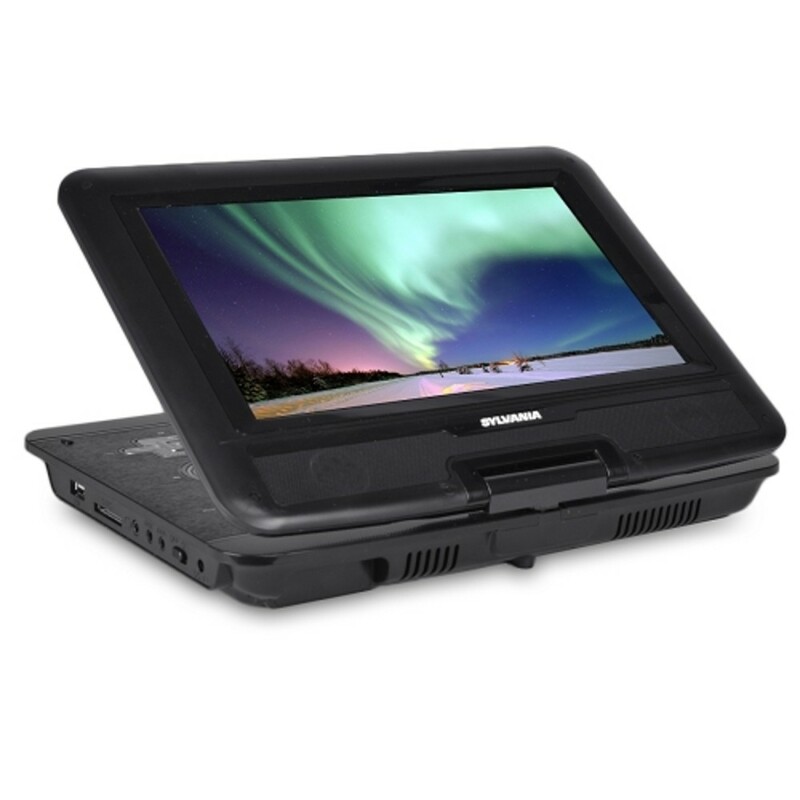 This portable swivel screen DVD player has a built-in rechargeable lithium polymer battery for better performance and durability. 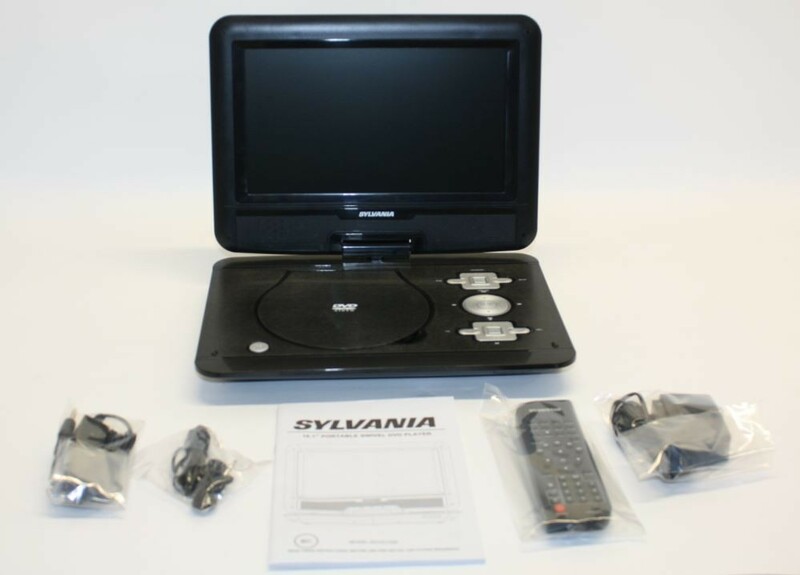 SYLVANIA SDVD1032 Portable DVD Player, AC power adapter, Earphones, Remote, and DC Car power cord. This certified refurbished DVD player is tested to work and appear as new, with limited to no signs of use. This DVD player will include all original accessories, and will have a 90 day warranty.